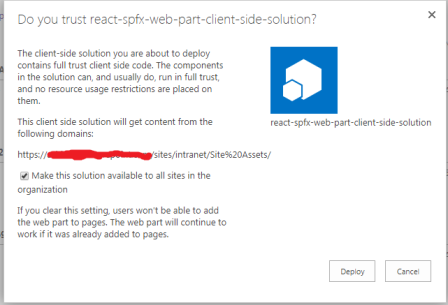 The SharePoint Framework (SPFx) provides full support for client-side SharePoint development. This provides easy integration with SharePoint data. It is compatible with modern technologies and tool. You can use your own IDE no need to purchase Visual Studio. Moreover SPFx is responsive in design. 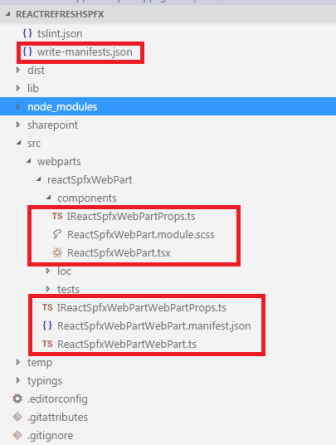 This article talks about using the SharePoint Framework web part with React as Framework. The whole article will walk you through the complete lifecycle from Pre Requisite , Understanding SPFx Web Part, Configure, Build & Deploy. The code uses React to do the rendering part on the SharePoint Page. REST API fetches the data from SharePoint list. The data source gets refreshed at a particular interval of time. Page only gets updated if there is a change in the data values as compared to current DOM. No need to refresh the page to see updated data. As soon as the state changes, React does the job of updating DOM. Below are the pre requisites from installation and learning point of view. References are provided for installation links below. You will also need to create a SharePoint Developer & AppCatalog site, these will come handy while deploying the code. 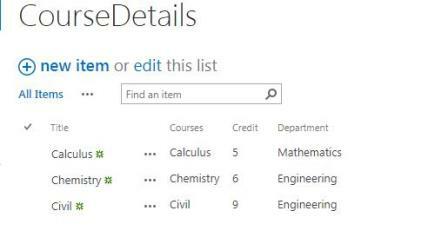 Don’t forget to create the SharePoint list with columns as shown below. Yeoman & gulp : Open command prompt as administrator. Use below command to install gulp and yeoman. AppCatalog : Go to SharePoint Admin Site. Then go to Apps you will see an option to create app catalog site. Create SharePoint list using below columns of type text. Once the installation of all required components is completed, it’s time to create SPFx webpart. Run below command and select options as displayed in below screen. This command initiates yeoman to start creating a SharePoint web part. It takes a while to create the web part. Open newly created solution in VSCode using code . in command prompt. There are many files in the whole solution, below are the important files which we will talk about throughout the article. Let’s check if solution builds using gulp. Run below command in your command prompt window. Make sure you are in the directory where web part is created. The solution builds, let’s start understanding and updating files in the solution. This is like css file for SPFx web part. Overwrite your file with below code. Let’s update our IReactSpfxWebPartProps.ts. This is our interface for React. Siteurl property is used for passing the site in context to webpart. Description is the description of your webpart. This is the most important file which is generated as we chose React Framewrok. Overwrite the files in your solution with below code. This is the main file created by SPFx. This interacts with React files under the Component Folder. Eventually the rendering happens here. 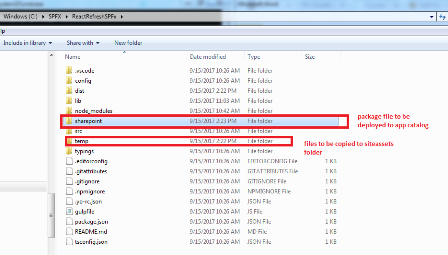 Folder location to be copied to SharePoint Assets library. All the files created under temp/deploy should be copied here in order for React webpart to work. Most of the fields are relevant. Most important one is zippedpackage. This is the location where the package is created. This creates files under temp/deploy – which needs to be copied to Assets folder of your site. Running below commands creates sppkg in your target path. Below screenshot gives an idea to find the necessary files for deployment to SharePoint. Type below command in command prompt. This command starts gulp and opens up a local workbench in browser. This helps testing the web part before deploying the package to SharePoint. 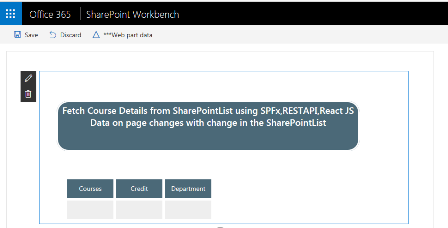 Web part can be tested on local as well as SharePoint workbench. Testing on SharePoint Workbench will retrieve data from SharePoint List. Testing on local workbench will only retrieve data if mock data has been created. It’s time to deploy the package file to SharePoint App Catalog site. Once the webpart is added to AppCatalog, it should be available to add on SharePoint Developer or any other site collection.